These adult stem cells are found in areas repairing after injury and also are found in pre-cancerous areas, suggesting that they may mutate and become cancer-causing stem cells, making them a potential cell of origin for lung cancer and a possible target for prevention strategies and new targeted therapies. The study found that when these adult stem cells are found in excised tumors, they are associated with a poor prognosis, and they could be used as markers to dictate the need for more aggressive treatment, said Jonsson Cancer Center researcher Brigitte Gomperts, an assistant professor of hematology–oncology and co-senior author of the study. The presence of the adult stem cells in the tumors also was found to be associated with a higher likelihood that the cancer had spread to other organs. “We can use the presence of these adult stems cells to identify patients with a high likelihood of relapse and risk of the cancer spreading, even in those where the tumor is small and can be entirely removed,” said Gomperts, who also is a researcher with the Eli and Edythe Broad Center of Regenerative Medicine and Stem Cell Research at UCLA. 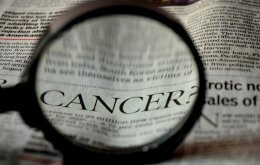 The study appeared Aug. 15 in the peer-reviewed journal Cancer Research. There is a growing body of evidence that shows many, if not all, cancers are caused by stem cells. Cancer stem cells are resistant to therapy and lie dormant, ramping up sometimes years later and recreating the tumor. If the cancer stem cells can be identified and studied, targeted therapies could be developed to kill them. More than 222,000 Americans will be diagnosed with lung cancer this year alone. Of those, more than 157,000 will die, according to the American Cancer Society. The study was funded by the California Institute for Regenerative Medicine, the National Institutes of Health, the American Thoracic Society/COPD Foundation and the Concern Foundation.